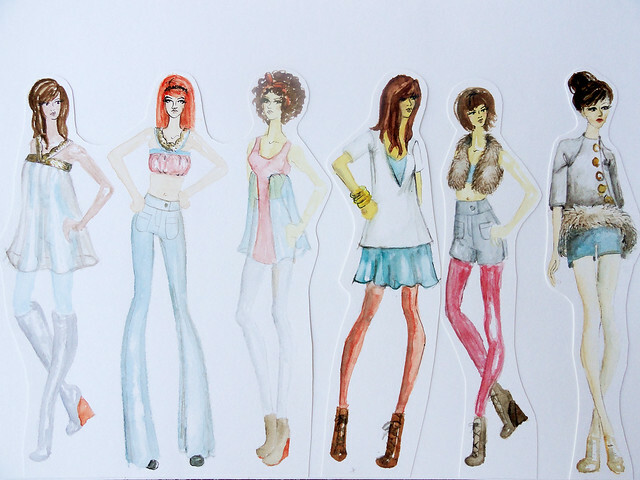 This is the watercolor collection we designed piece by piece this spring quarter at school. 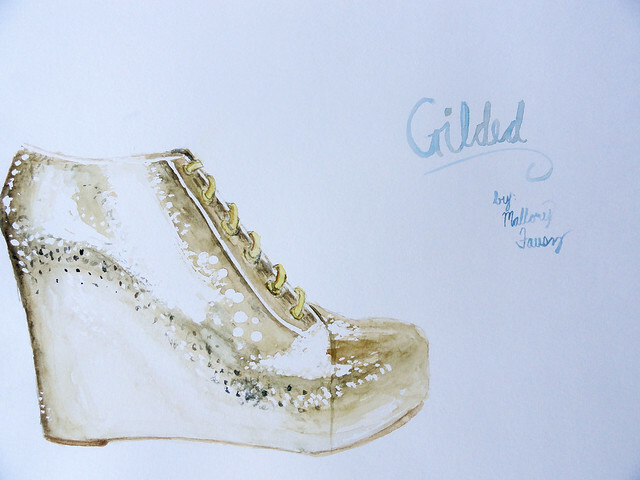 It was inspired by these Jeffrey Campbell shoes. I'm so in love with the outcome! I wish I had every single garment. 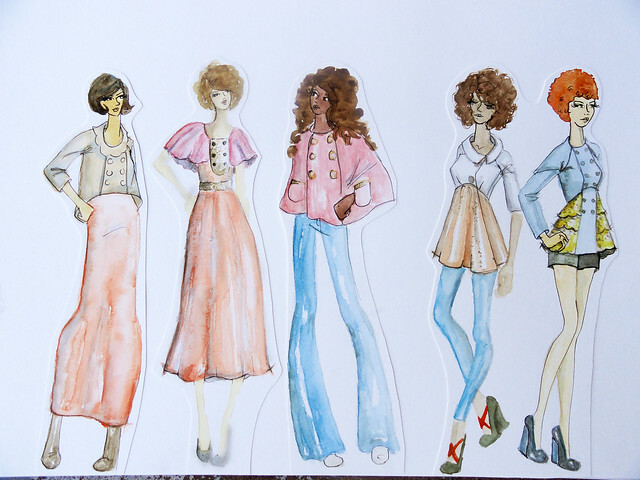 I like the slight veer of direction to a bit more fashion forward but still obviously vintage inspired look. 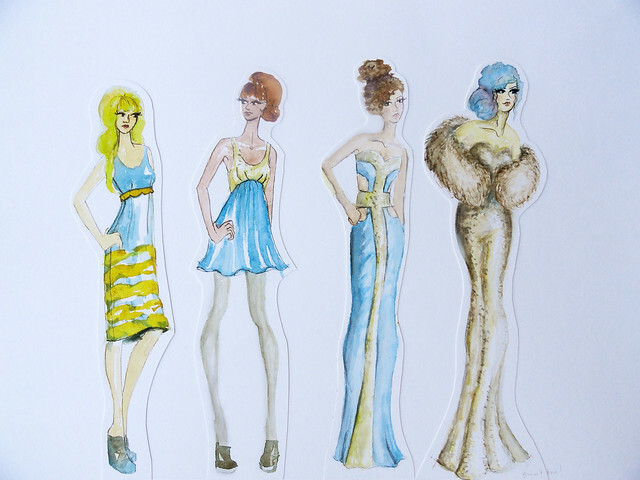 See the collection I did in the fall here. 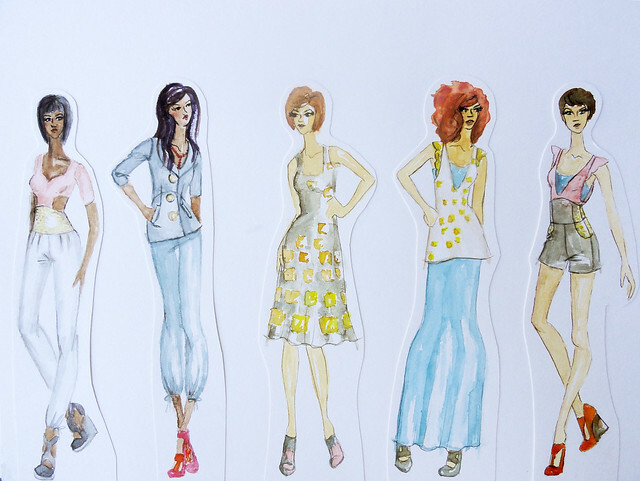 Which look would you like to have the most? 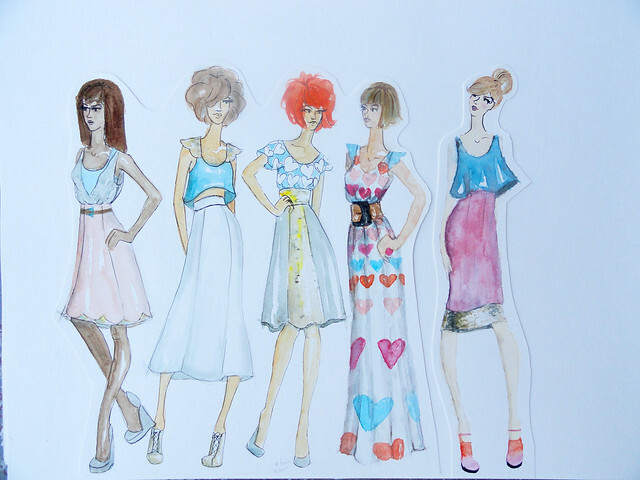 Today I made some dresses.